Tifariti (liberated territories), May 21, 2018 (SPS)-Several foreign delegations supporting the Sahrawi people and their just cause attended the festivities commemorating the 45th anniversary of the outbreak of the Sahrawi armed struggle Sunday in Tifariti. Tifariti (Liberated Territories), May 21, 2018 (SPS) - On the occasion of the festivities marking the 45th Anniversary of the outbreak of the armed struggle, organised in the liberated town of Tifariti, the President of Republic, Secretary General of the Polisario Front, Brahim Ghali, affirmed in his speech that the national cause has achieved successive and important victories. Tifariti (liberated territories), May 20, 2018 (SPS)- The celebration of national days in liberated territories was meant to reaffirm Sahrawi State's sovereignty over these territories, said the Sahrawi Defence Minister, member of the National Secretariat of Polisario Front, Abdallah Lahbib. Tifariti (Liberated Zones), May 20, 2018 (SPS) - The President of the Republic, Secretary-General of the Polisario Front, Brahim Ghali, received the credentials of the Zimbabwean Ambassador to the Sahrawi Republic, Mr. Edwin George Mandaza. 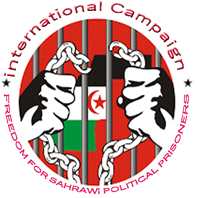 Shaheed Al-Hafed, May 20, 2018 (SPS) - The Ministry of the Occupied Territories and Community Abroad has condemned, in a statement, the brutal assassination carried out Friday by the Moroccan of forces repression of Sahrawi student Abdel-Rahim Badri on the Ibn Zuhr University site in the Moroccan city of Agadir. Tifariti (Liberated Territories), May 20, 2018 (SPS) - The festivities commemorating the 45th anniversary of the outbreak of the Saharawi armed struggle kicked off Sunday in Tifariti, in the presence of the president of the Saharawi Arab Democratic Republic (SADR) and secretary general of the Polisario Front, Brahim Ghali. Bir-Lehlu, May 19, 2018 (SPS) – President of Republic, Secretary General of the Polisario Front, Brahim Ghali, has sent a message of condolence to president of the Council of State and Ministers of Cuba, Miguel Diaz-Canel Bermudez, following the tragic aircraft crash just moments after it took off from Havana Jose Marti International Airport, in which several people lost their lives. South African international climate activist and human rights defender Catherine Constantinides has been recognised by the Saharawi National Commission for Human Rights (CONASADH) as an honorary member. She was awarded this membership earlier this week at the Saharawi refugee camps, south-west of Algeria. She has been working actively in the camps for the past four years. Algiers, May 19, 2018 (SPS) - The Polisario Front will celebrate Sunday, in Tifariti, in the Sahrawi liberated territories the 45th anniversary of the outbreak of the Sahrawi armed struggle against the Moroccan occupation forces, a date which comes in a particular context marked by several diplomatic and legal victories snatched by the Sahrawi people, fighting for their right to self-determination. Algiers, May 17, 2018 (SPS)- The ambassador of the Sahrawi Arab Democratic Republic (SADR) to Algiers Abdelkader Taleb Omar said Wednesday that the refugee camps and the Sahrawi liberated territories are open and transparent regions unlike the situation in Sahrawi territories occupied and besieged by Morocco.